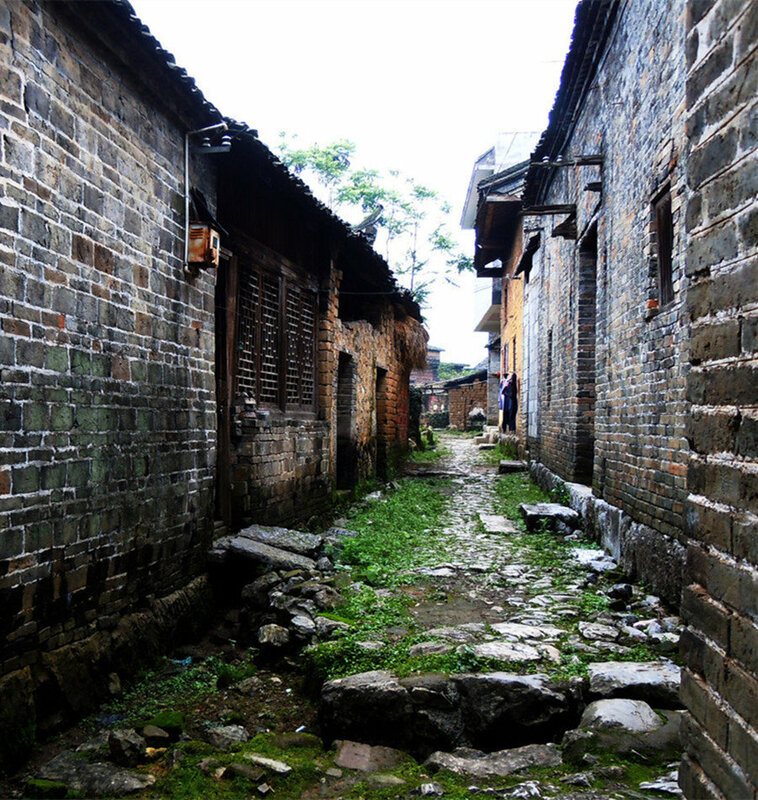 West Street is the oldest street in Yangshuo with a history of more than 1,400 years. It is 517 meters (1,696 feet) long and 8 meters (26 feet) wide, meandering in an ‘S’ along its length. 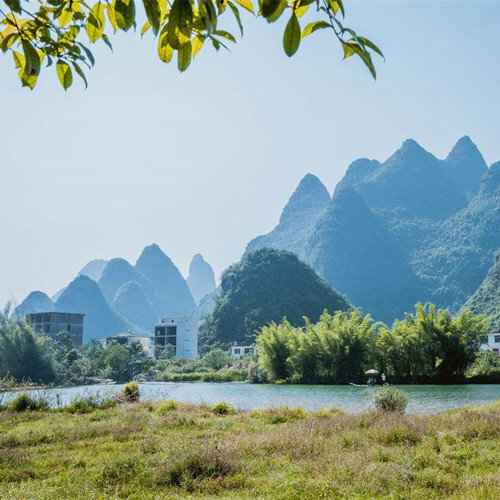 Situated at the center of Yangshuo County, since the 1980’s West Street has become a window for eastern and western culture and the biggest ‘foreign language center’ in China. Visitors are attracted to West Street by its unique mix of cultures. Each year, approximately 100,000 foreigners come here on their travels or to attend advanced studies. Completely paved with marble it is a typical example of a southern China street. It is greatly admired by foreigners for its simple style and courtyard-like setting. There is a saying about West Street that ‘half is village while the other half is stores’. West Street is also called ‘foreigners’ street’, because sometimes foreignes outnumber Chinese. Don’t be surprised if you hear English words spoken by elderly Chinese women, for West Street is called ‘the global village’. 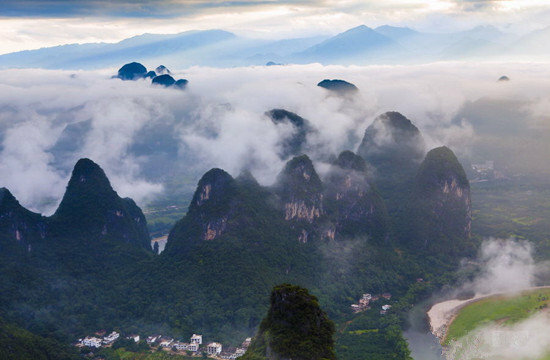 Besides the local accent of Yangshuo, English has become the language for daily use. West Street is modern and fashionable, nearly every store has bilingual shop signs, and more than 20 stores have been opened by foreigners who have settled here. 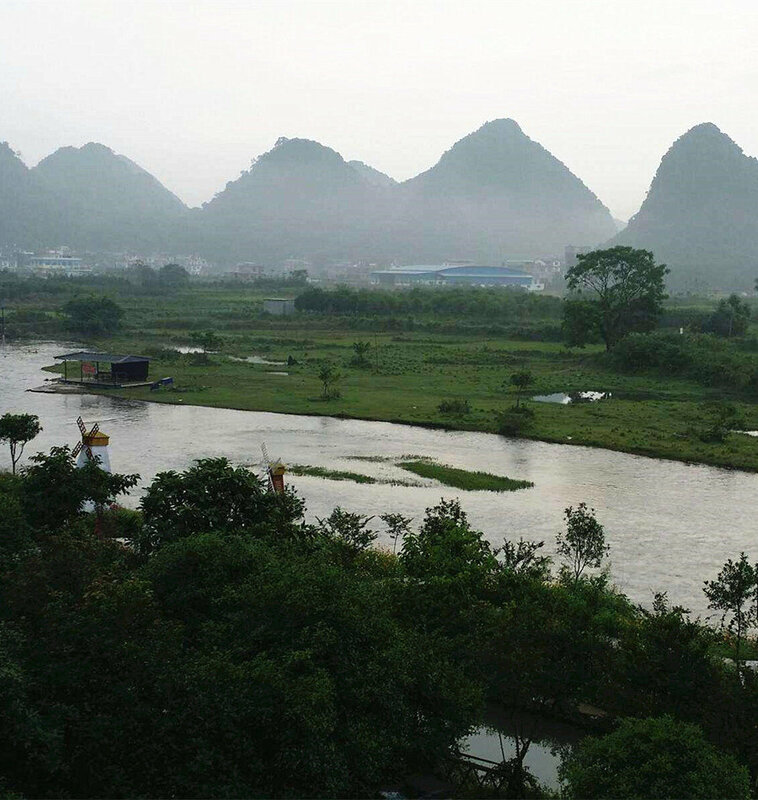 Chinese visiting West Street may think they are in a foreign country, while foreigners come here to search for the ancient civilization of China. However, whether you are Chinese or a foreigner, West Street is a terrific place to take a rest, both physical and psychological. West Street will drive all of your pressures and burdens away, and give you a calmer view of life. It shows different faces at different times: calm and peaceful in the morning, while trendy and modern in the evening. 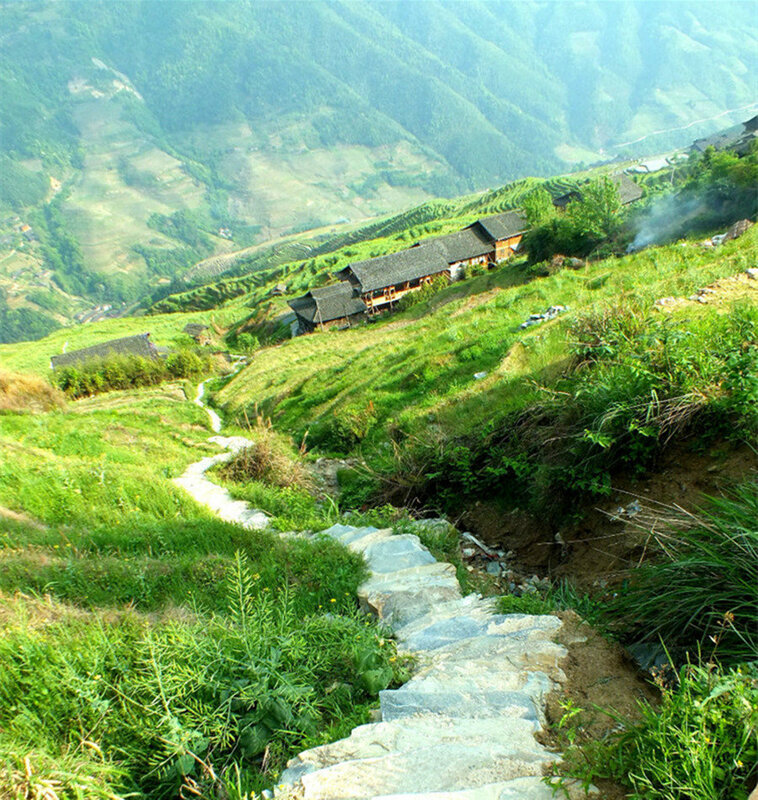 Traveling to West Street is an experience to be with the landscape, with the people, with the soul, and with yourself. You will be surrounded by an array of traditional folk and amazing international elements. Various shops, craftworks shops, painting and calligraphy stores, backpack shops, cafes, and Chinese Kung Fu academies jostle for attention. You may see a multitude of items, from embroidered silk cloth, wax-painted weaving, to tiny shoes worn by women before the liberation of the People’s Republic of China in 1949. Typical local dish: Beer Fish (啤酒鱼)-fresh fish caught from the clear water of the Li River, with a delicate sauce, the fish tastes great with beer. It’s a wonderful dish to stimulate your appetite. Recommended seller: ‘The Tao’s Authentic Beer Fish’ (陶家正宗啤酒鱼) and ‘the Older Sister of Peng’s Beer Fish’ (彭大姐啤酒鱼). Characteristic cafes: MeiYou Café (没有饭店): ‘Meiyou’ means, ‘we don’t have’. The reason for this shop sign reflects the promise of the host: ‘Meiyou warm beer, meiyou lousy food, meiyou rip-offs, meiyou bad service’. Anne’s Art Café (安妮艺术咖啡馆): famous for its first-class food qualification, and competitive price. Each dish here can be called an art. Paris Café (巴黎咖啡馆): Providing a high-class service, exquisite environment, and convenient transportation. Special tourist vehicle: Bicycle. 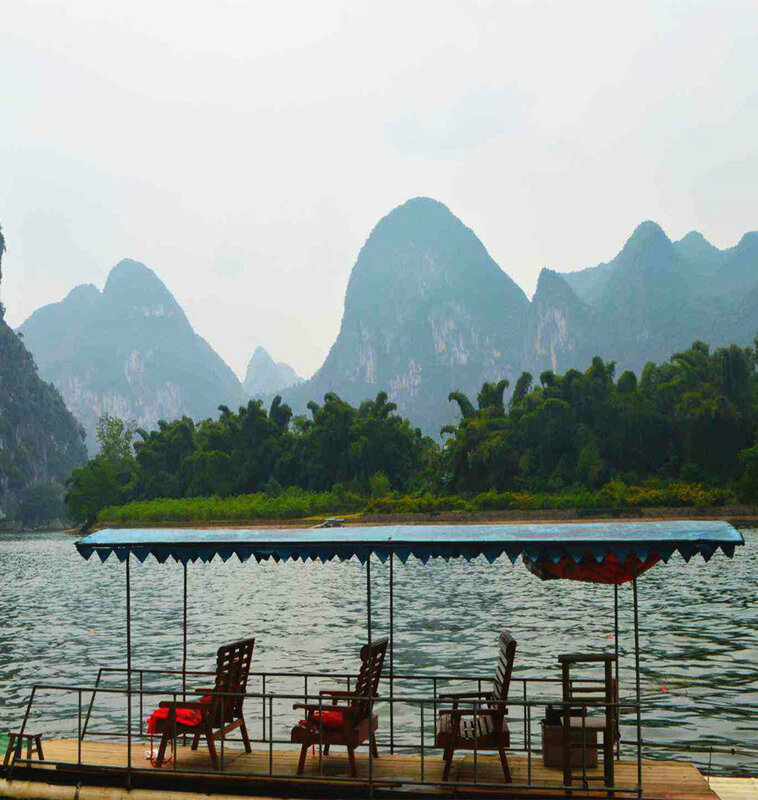 As a saying goes: ‘no bike, no Yangshuo’. Rent a bike to appreciate the elegant scenery as well as feel the air of village.